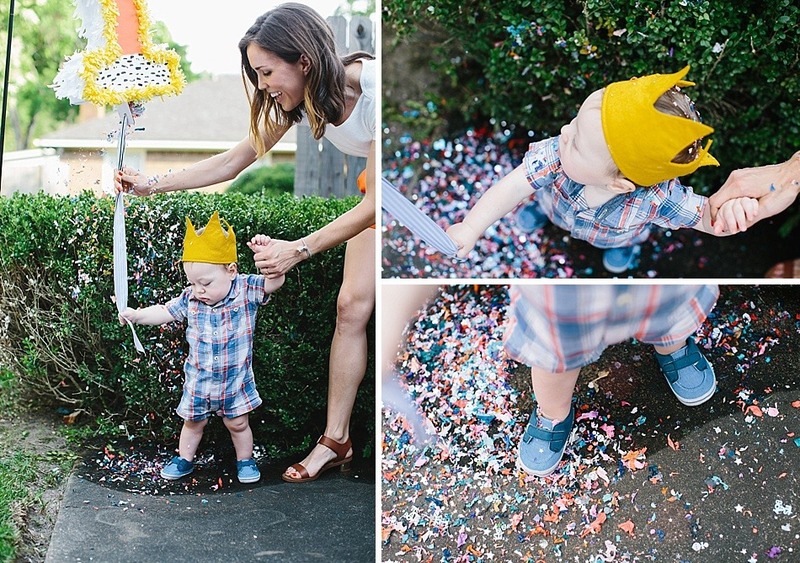 Smash Cake Tutorial and George’s First Birthday! Hi friends and happy Thursday! I have something a little out of the ordinary for you all today but I have a feeling you crazy cake lovers are gonna go nuts for it. It’s a smash cake tutorial! 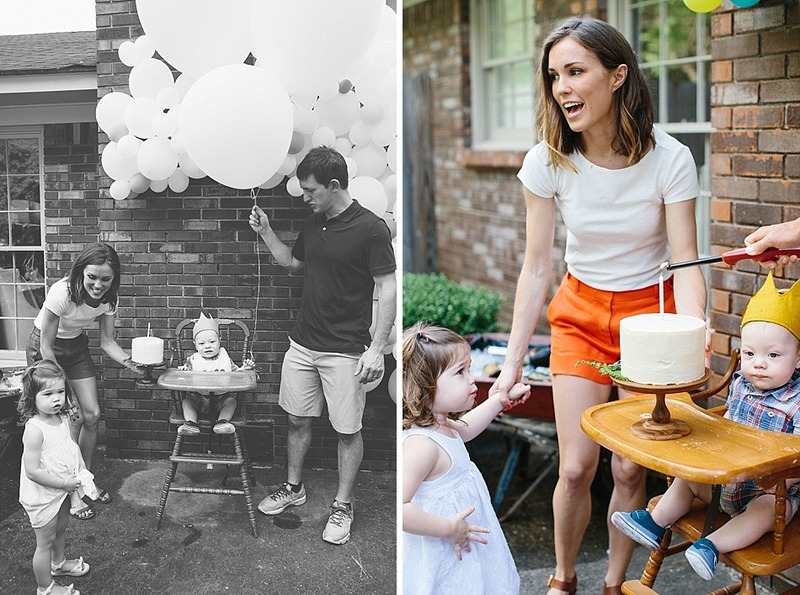 If there are little ones in your life that you want to celebrate well, or if you just really want to dig into a cutesy mini cake all on your own, today’s tutorial is just perfect for you. 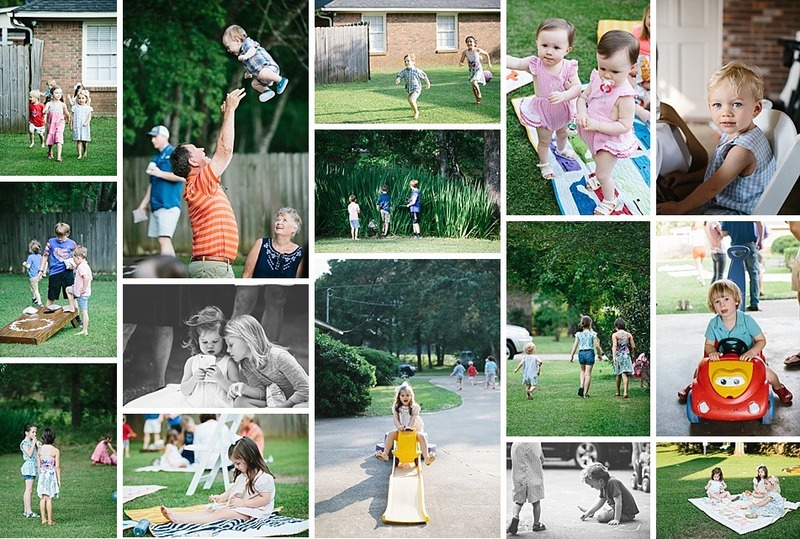 There were a ton of fun blog recipes and DIYs that made this day personalized and delicious. 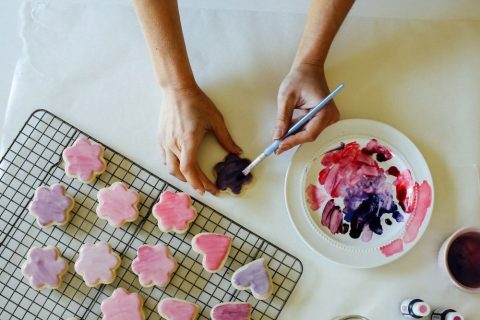 You might recall the painted sugar cookies from a tutorial that I shared last year. The cocktails were honey basil margaritas, another blog favorite, that were a sweet and sour way to cool off from the warm summer air. 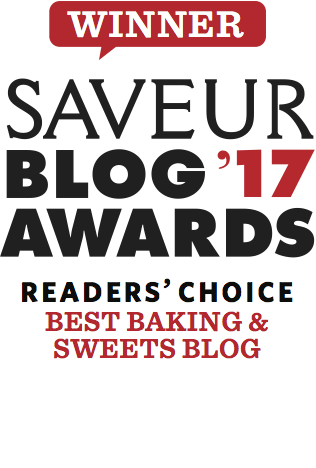 The cake was a certain raspberry streusel cake that we all know and love, and even the ice cream, coffee cookie dough, was a no-churn recipe that I shared with you all a few weeks ago. My mom and I made the balloon arch following a tutorial that I found on the fabulous blog, The House that Lars Built. It was a process, but a ton of fun to make and I think it really added something special. 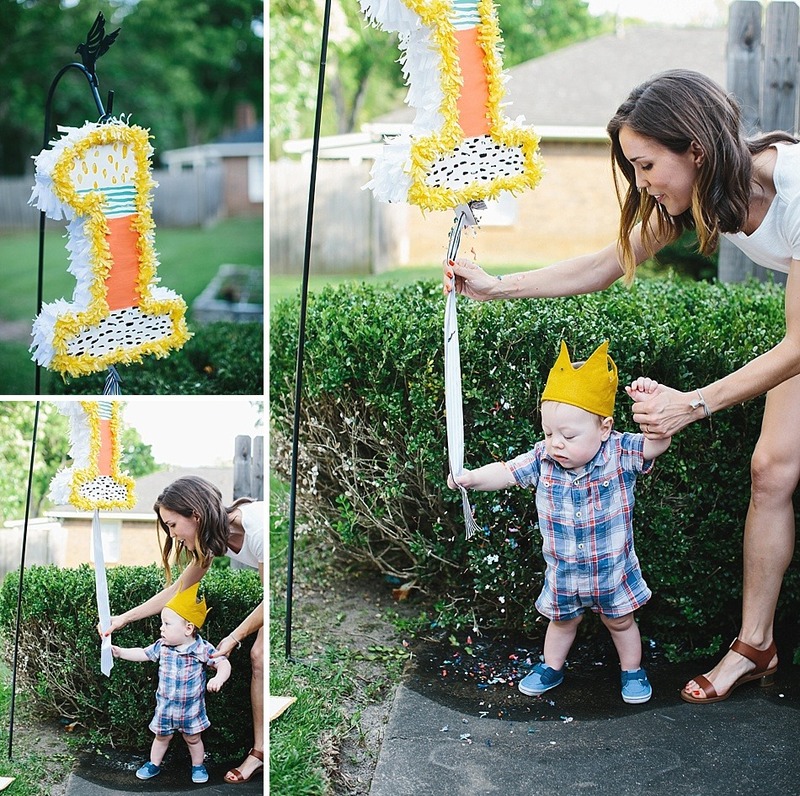 The piñata was also homemade and was similar to one that I made for Aimee’s first birthday party following a fun DIY that I found on 100 Layer Cakelet blog. If you have any ideas for future DIYS, I’d love to hear about them! 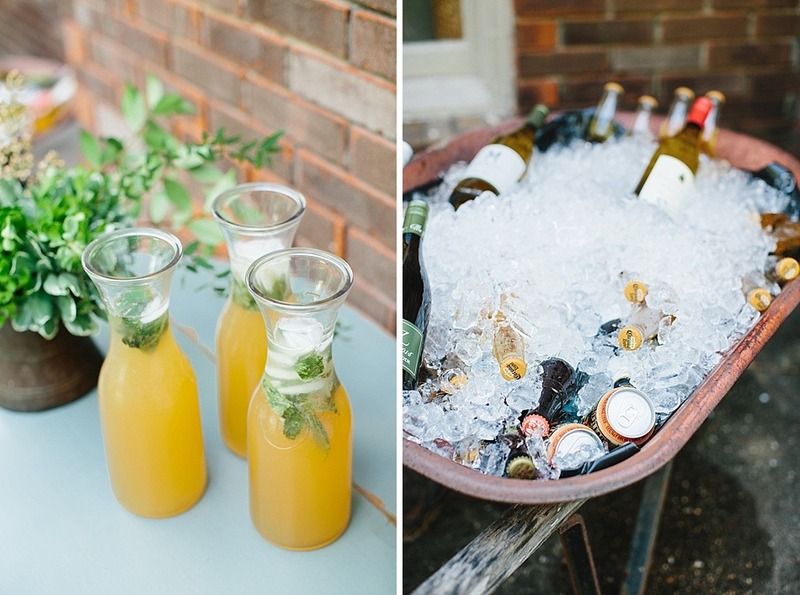 These are certainly some fun ones you should consider adding to your next occasion. And what’s a birthday without a layer cake and candles? It would be a shame if I threw my kids a party without making cake, right? I made one large cake for our party guests and one (slightly larger than normal) smash cake for George to dig in to. Since the party, I’ve had several people ask me about making smash cakes for their own littles and I thought this might be a good opportunity to share some DIY decorating ideas with you all. I’ve prepared a few simple cakes that will hopefully inspire you to make mini cakes of your own next time you are celebrating a special little gal or guy. Let’s get started! -A few small cake layers. I prefer to use 6″ cake layers, but you can certainly use a 4″ or 5″ pan as well. I use these pans to bake 3 layers. You can use any of your favorite recipes, but if you want a sure thing, try halving this chocolate or this vanilla cake recipe. Perfect every time. If you use smaller pans or bake few layers, be sure to not overfill your pans as this can cause underbaked cakes and messy oven spills. -3 to 4 cups of frosting. I used a plain vanilla frosting for these cakes, but adjust as desired. 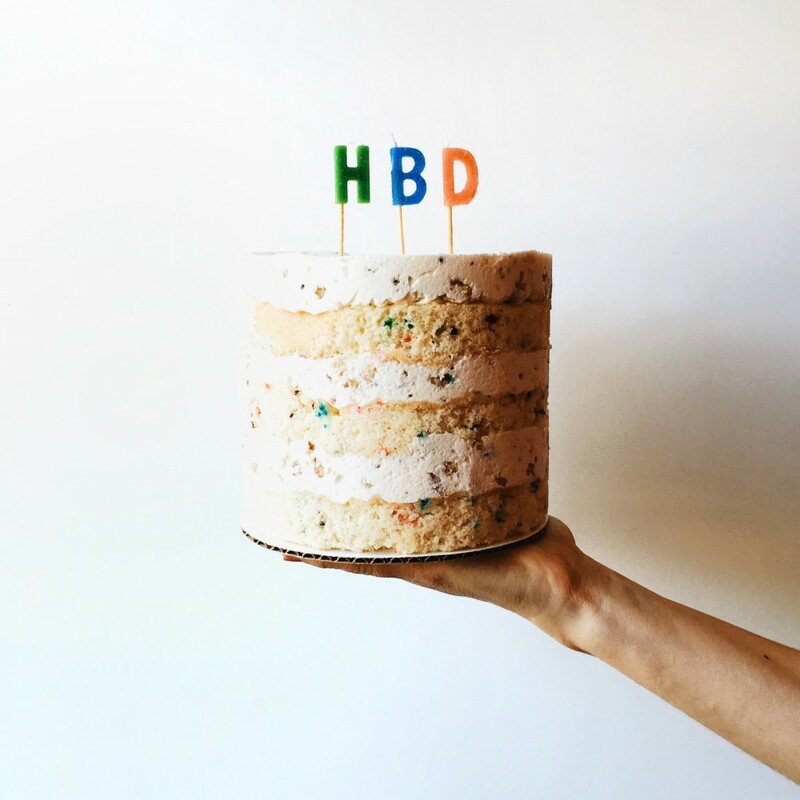 -A 6″ cake board. Cake boards aren’t necessary but certainly make decorating and transporting the cake a bit easier. You can just barely see the cake board in all of my photos. -A cake turntable. Again, this isn’t necessary but certainly makes frosting your cake a TON easier. Consider investing in one of the inexpensive models or jump to the big leagues with something like this. –An offset spatula. It’s less than $6 and will make your life so much easier. If you’re currently frosting cakes with a knife or a bowl scraper, just buy one of these, ok? I always say, when in doubt, just throw some flowers on it. 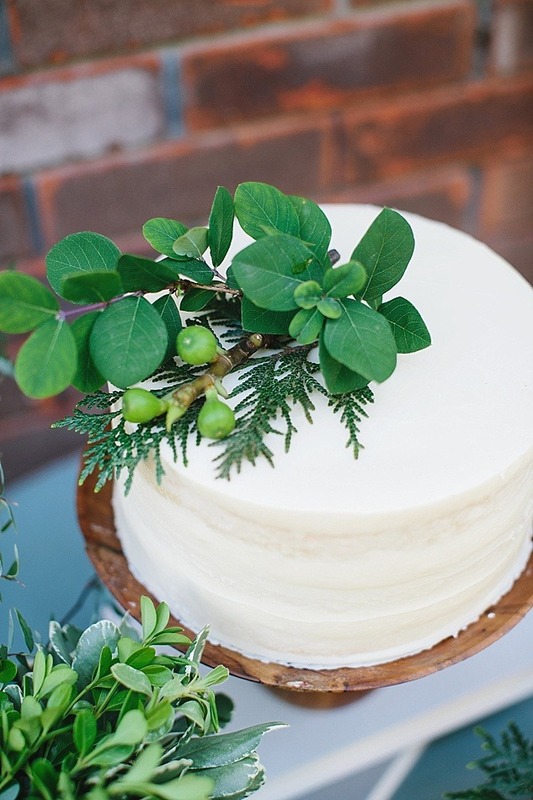 Decorating with flowers and greenery can take a plain frosted smash cake to a sweetly styled work of art. 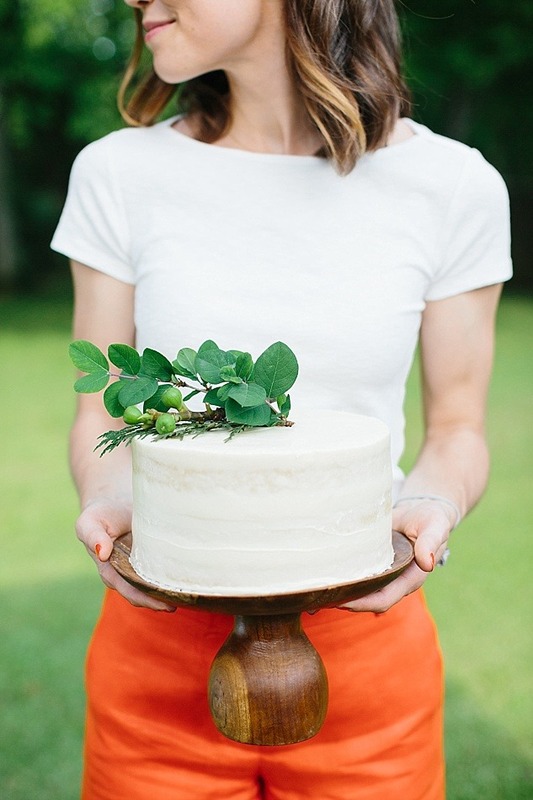 I typically like to use flowers that I can find at my local store or florist, but there are tons of ways to put a little nature on your cake. 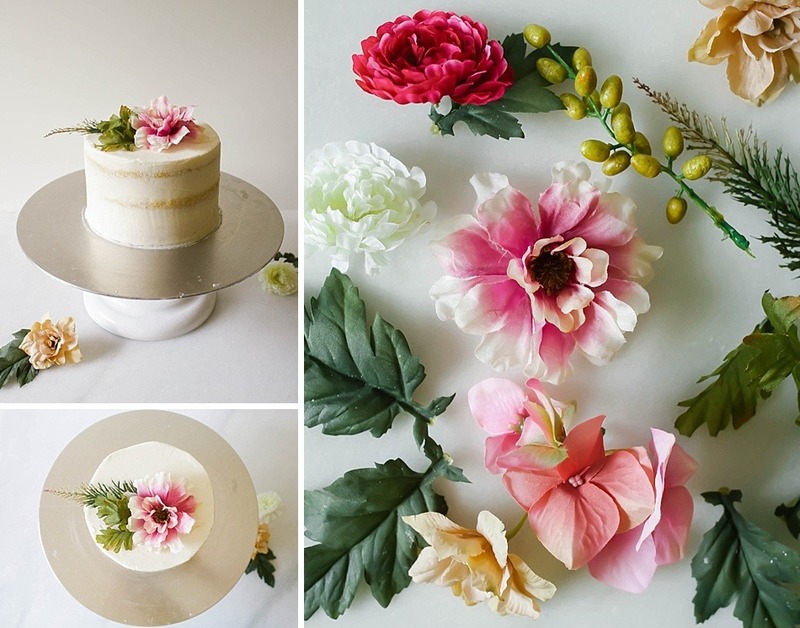 If you’re unsure about using fresh blooms on your cake, take some time to practice with silk flowers and greenery like I did in the following photos. 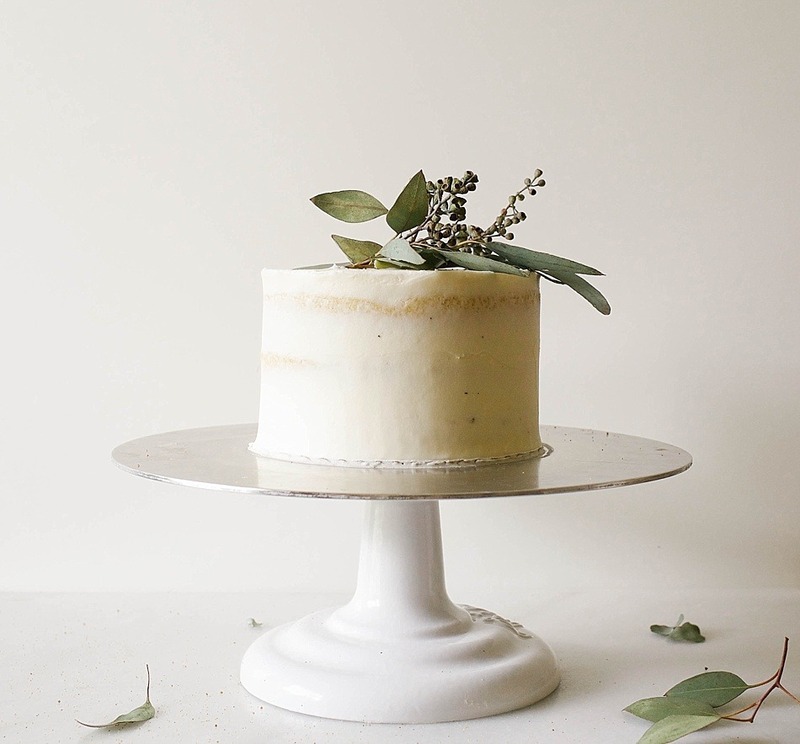 Before styling your florals, frost and chill your cake as desired. Here, I’ve used 3 thin 6″ vanilla cake layers coated with a vanilla cream cheese buttercream. You can half this cake and frosting recipe to yield enough for your mini smash cake. Coat the outside of the cake in a thin layer of frosting so that a bit of the cake edges show. Chill the cake briefly in the fridge to allow the frosting to set up slightly and then begin arranging! I like to use a variety of blooms, leaves, and twigs in different shapes and shades, but you can use any variety you like. Start by adding some flat leaves, twigs, or stems to the top of the cake and then arrange one or two larger blooms on top. Fill in any unsightly gaps with smaller flowers, berries, or filler. For George’s birthday cake, I knew I wanted to use natural elements as decoration but I didn’t want the cake to be too feminine. As an alternative to flowers, I used some greenery and stems from my neighbor’s garden. 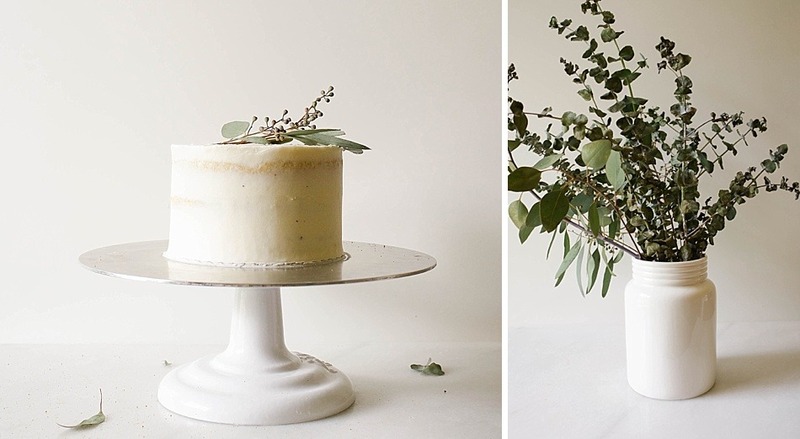 To achieve a similar effect, you can purchase eucalyptus, olive leaves, or other green filler from your florist and arrange it in a minimalistic fashion on top of your cake. Get creative and know that practice makes perfect! 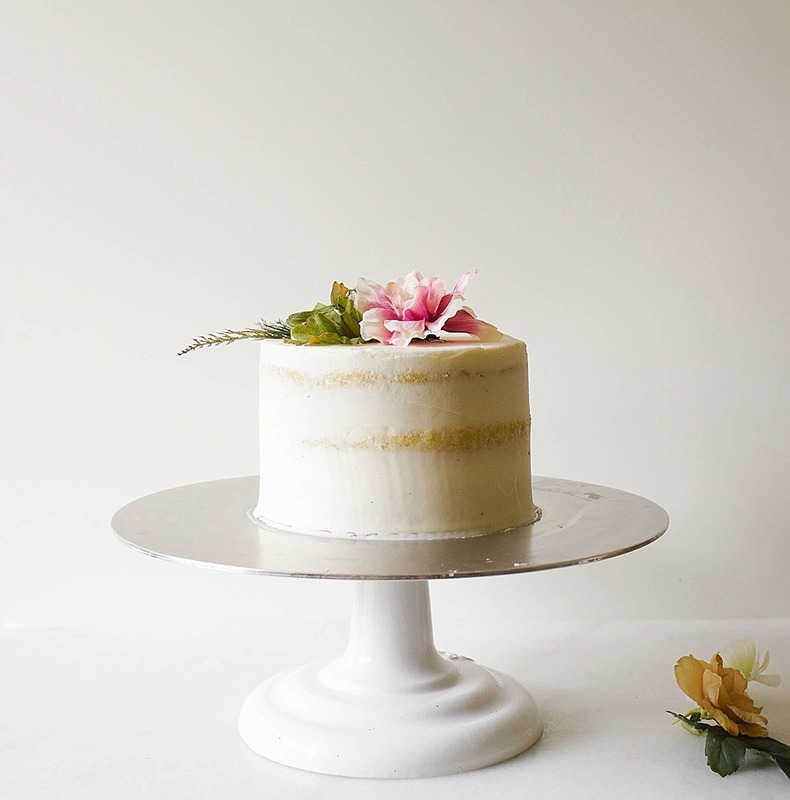 The more you work with florals, the more comfortable you’ll get with arranging them on your layer cakes. 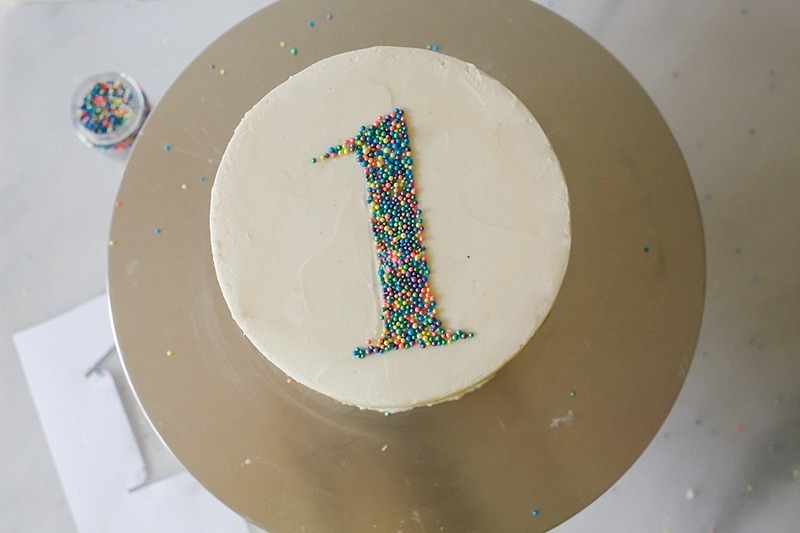 You can decorate your smash cake with a word or a number in less than 5 minutes and with minimal effort. Simply print out a word or number on a sheet of computer paper. The number should be slightly smaller than the size of your cake. Use an X-Acto knife or scissors to cut out your shape and create a stencil. Center the stencil on top of the slightly chilled cake and sprinkle small nonpariels on top to fill it in. Be sure not to get too many sprinkles outside of the stencil our you’ll be picking them off your cake! Press down lightly to adhere the sprinkles to the cake and remove the stencil. You can use a careful hand or a pair of tweezers to pick off any rogue sprinkles. 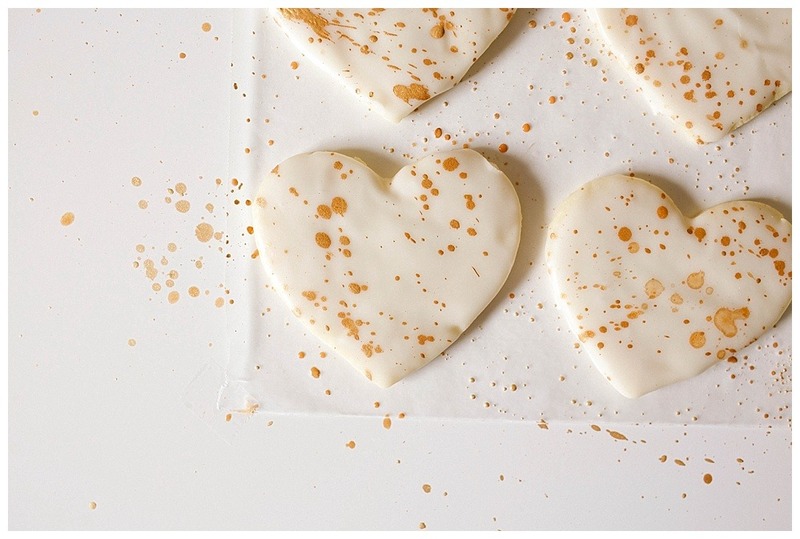 I like to use nonpariels, but if you have a different variety of small sprinkles that you’d like to use, feel free! You could also sprinkle on small candies, cocoa powder, or finely chopped nuts. Frosting an ombre cake remains one of my favorite ways to decorate a smash cake. To get started, all you’ll need is a small, crumb-coated smash cake, about 1-1/2 cups of white frosting, gel food coloring, and an offset spatula. Evenly divide your frosting into 3 small bowls. 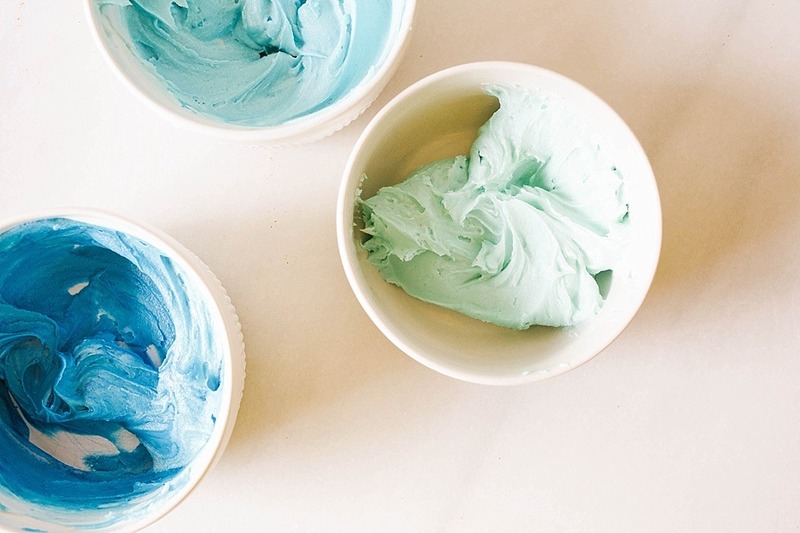 Add a small drop of your gel food coloring into one of the bowls, keeping in mind that you can always add more food coloring, but it’s a challenge to lighten the frosting once you’ve added too much. Stir well with a spatula and then color your remaining bowls of frosting as desired. I typically use 3 shades of the same color and just add more or less food coloring to each bowl to achieve my color gradient. Top your smash cake with your lightest or darkest shade. Smooth out the colored frosting on top of the cake using an offset spatula and push any extra frosting off the edge of the top of the cake onto the top third of the sides of the cake as well. Don’t worry about making it smooth yet, just be sure that all sides of the cake have some of that frosting on it. Move on to the next shade and spackle it onto the middle third of your cake. Finish with the final color on the bottom third of the cake and gently work to smooth it out over each side. Holding your spatula parallel to the cake, smooth the sides of the frosting out. The more you spread out your frosting the more that the colors will blend together, so be sure to not overwork it. Clean off your spatula occasionally to ensure that the colors don’t get muddled together as you go over different parts of your cake. 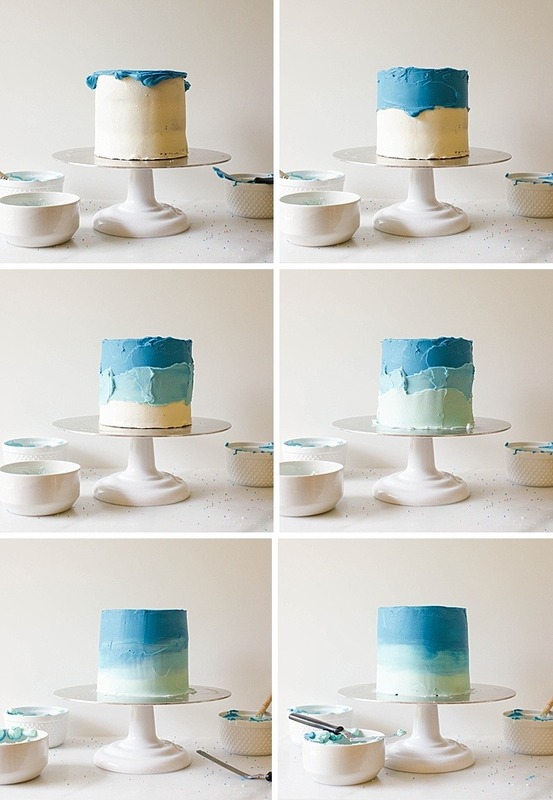 Check out this ombre cake tutorial for more help. Rosie does a great job explaining the technique and it’s super helpful to watch her do it in her video. She also sells some gorgeous sprinkle blends that you may want to top your cake with so be sure to check those out! 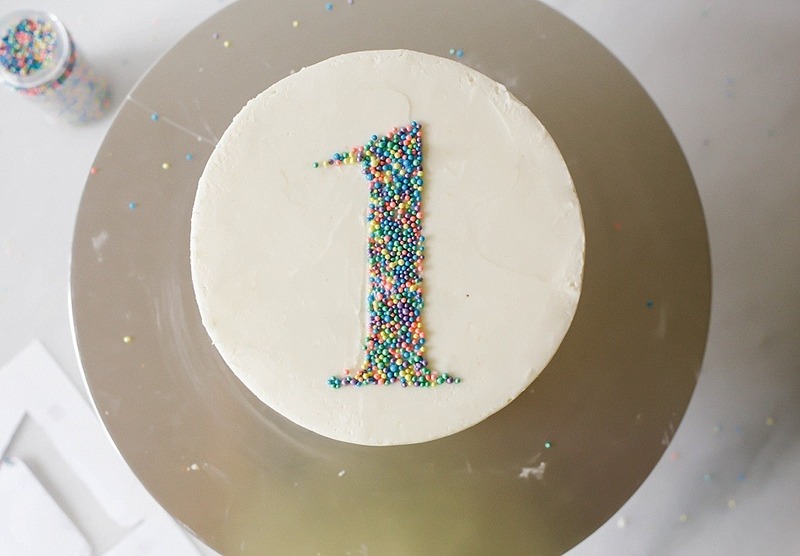 One of my favorite ways to decorate a smash cake also happens to be the easiest. Rustic or “messy” frosted cakes are all the rage. These cakes require no perfection, no straight edges, no perfectly piped swirls of frosting. All that is needed to create these beauties is a little creativity and an offset spatula. 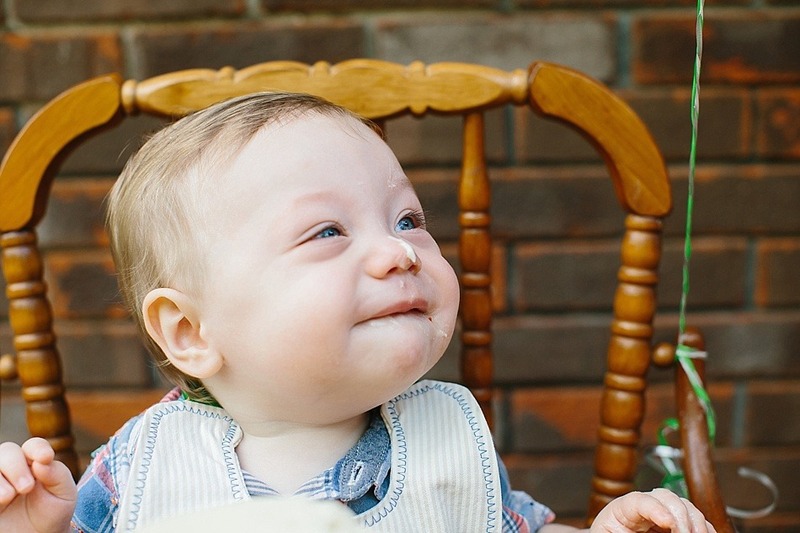 To frost one of your own, start with a thinly frosted smash cake. Allow the cake to chill briefly in the fridge and then use your offset spatula to spackle frosting onto the sides of your cake. You may decide to go for big swoops, parallel lines, or thin stripes of frosting. 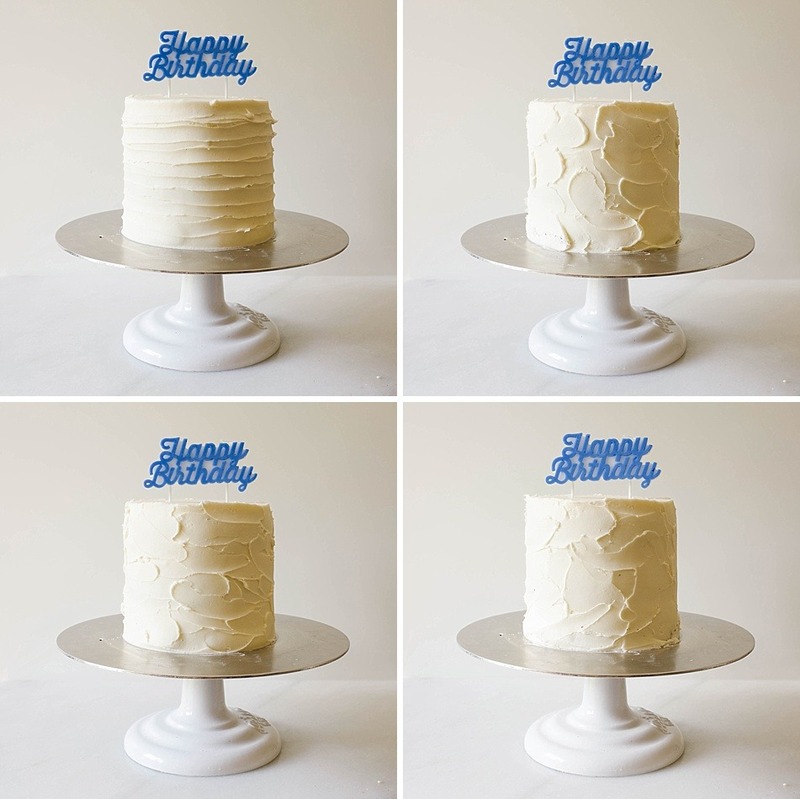 Whatever you choose, just begin adding frosting to the sides of your cake and smooth out the top edge once finished. The great news is that if you mess up- no problem! Just smooth out the frosting and start all over again. When you’re finished, top the cake with a cute candle or topper. 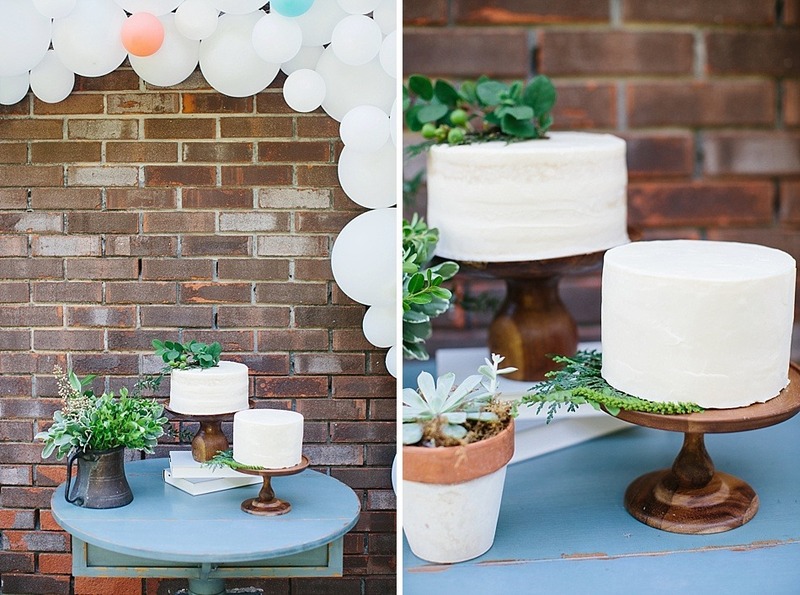 For more rustic cake inspiration, be sure to flip through my Instagram feed. 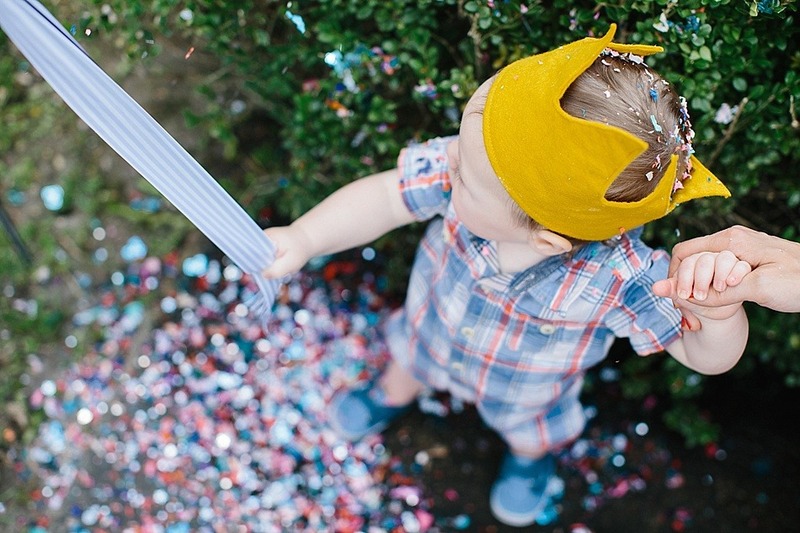 Ok, now that you guys know all of the cute and simple ways to decorate your kiddo’s smash cakes, I wanna see them! I gain so much inspiration from you guys so if you’ve created some recently or in the past that you think I might like, please shoot me an email. If you have any ideas for future tutorials, holler at me in the comments section below so that I can get cracking. Let’s just learn all the different ways to create beautiful food for the people we love, okay? Have a great week and be sure to pop by next Tuesday. 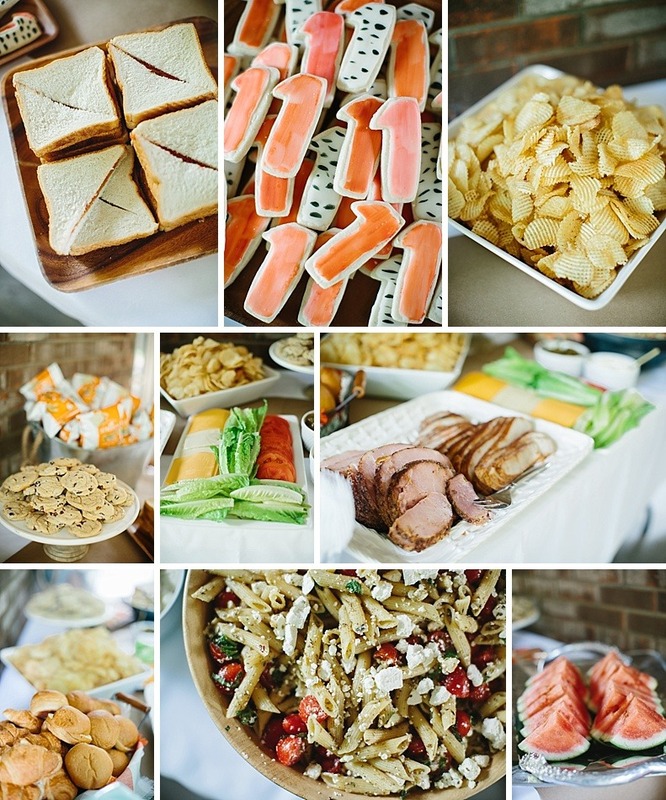 We’re going to be talking biscuits and sandwiches and Father’s Day, so you’ll want your appetite. Cheers to you and Happy Thursday! Hello! 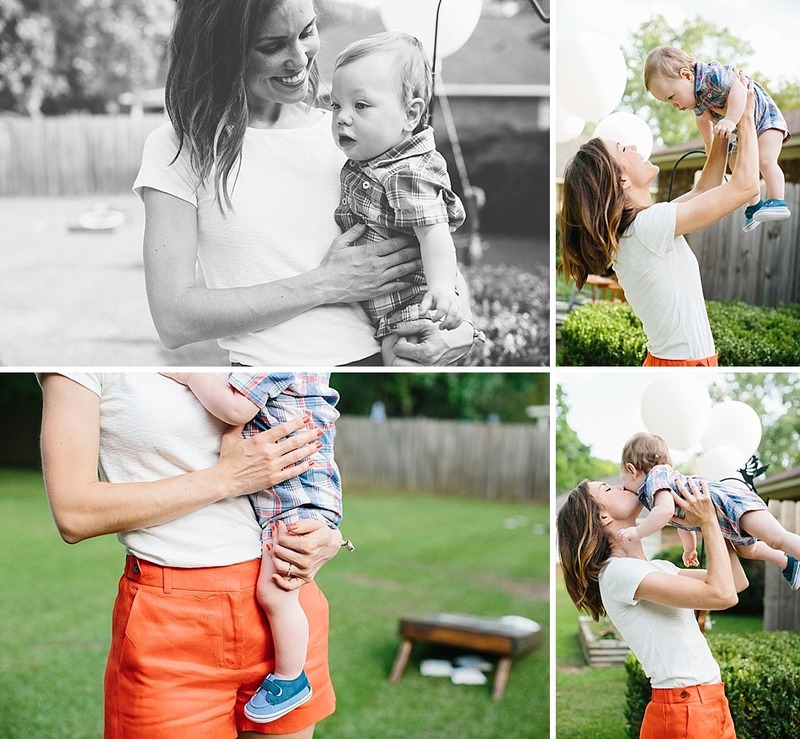 I came across your blog and love your style! I wanted to know the two sizes of the cakes from your sons birthday. I see that the smash cake is 6″ but what is the height on that. I don’t see the other cake size listed on the post. Thank! The other cake was 8″. Hello! 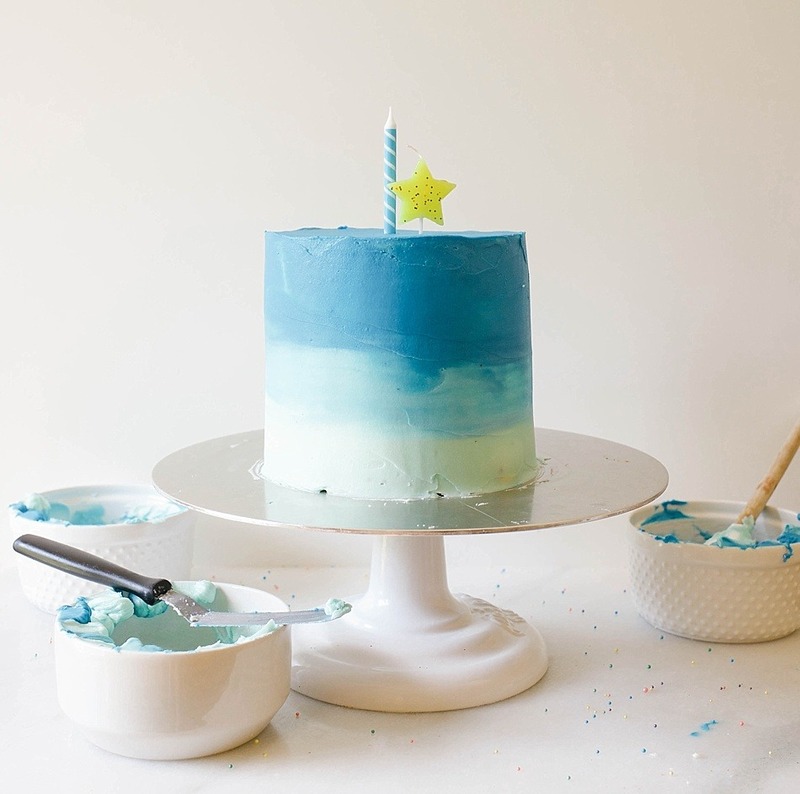 I love the colors of the ombré cake! What color gel or brand did you use? Wow I love EVERYTHING about this!! 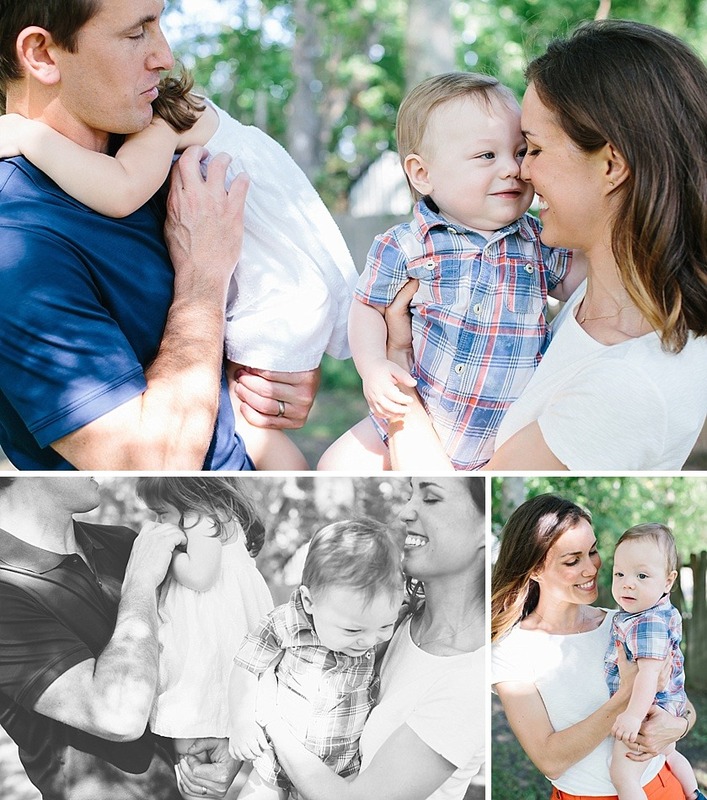 My son is turning one in a few weeks (cue the sobbing) and this is perfect! I love baking and hate the thought of paying $35 for a smash cake when I could easily do it myself. I love these tips! I found your blog while searching pinterest for balloon arches and came across this post…and now I can’t stop looking at/reading your recipes!! I actually had a question re: the balloons…Do you mind me asking where you purchased them? 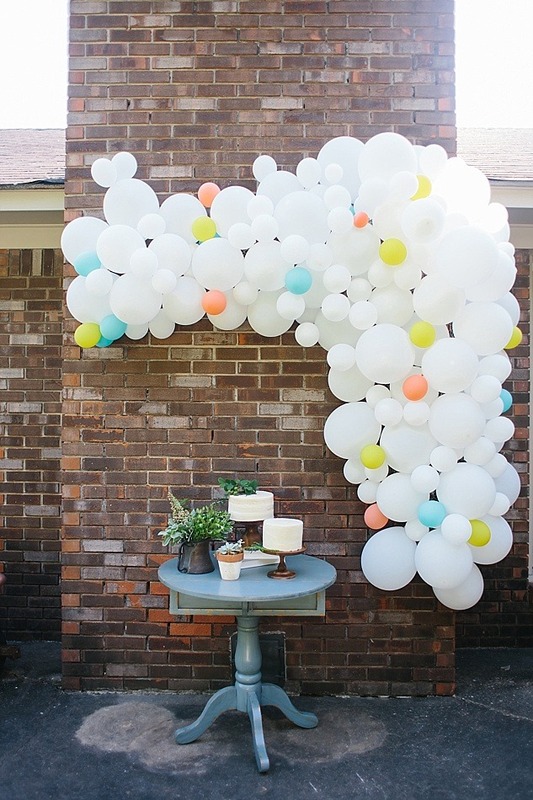 Your balloon arch is similar to the color scheme of mine but I can’t FOR THE LIFE OF ME find the colors I like. Do you mind sharing? Oh I’m so thrilled! Thank you for the kind words. Happy birthday to your little buddy!! I bought the balloons on amazon! They are a mix of 9″ balloons and 6″ balloons. Mainly white with just a speckling of those jewel tone colors! 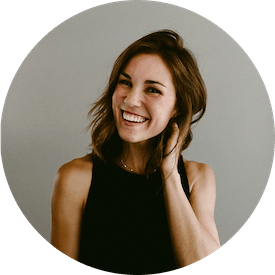 Kate, I am new to your blog and regret that. Wish I had been here all along. I plan to spend a good amount of time looking and inhaling your talent and actually trying my hands at a few of these fabulous and beautiful treats. You are quite talented and present a wonderful expression of that talent. So glad blogs are available to all of us. Congrats. I am so looking forward to sharing YOU. Terry- Thank you for the kind words! What a source of encouragement. I’m so glad you’ll be following along and look forward to hearing more from you. I love finding out what people are interested in creating in their own homes, so if you ever have an idea, feel free to pass it along. Best to you and THANK YOU. 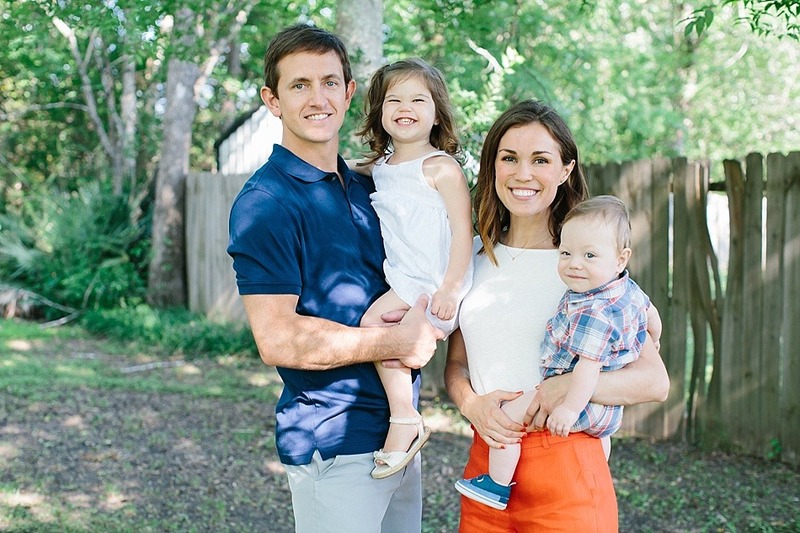 soooo, maybe Abigail’s 2nd birthday??? Adorable! Great post! 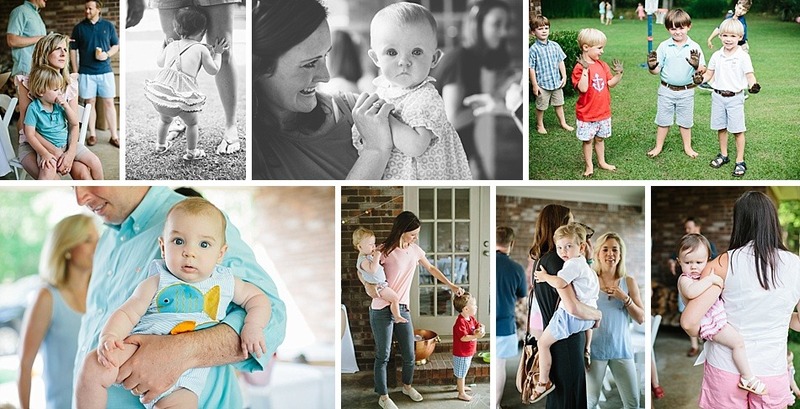 How generous of you to share all of your inspiring projects – so many fantastic ideas! I hope they’ll get used and loved! EEP! Thanks, lady! That means a lot coming from you! I can’t wait to see what you come up with! 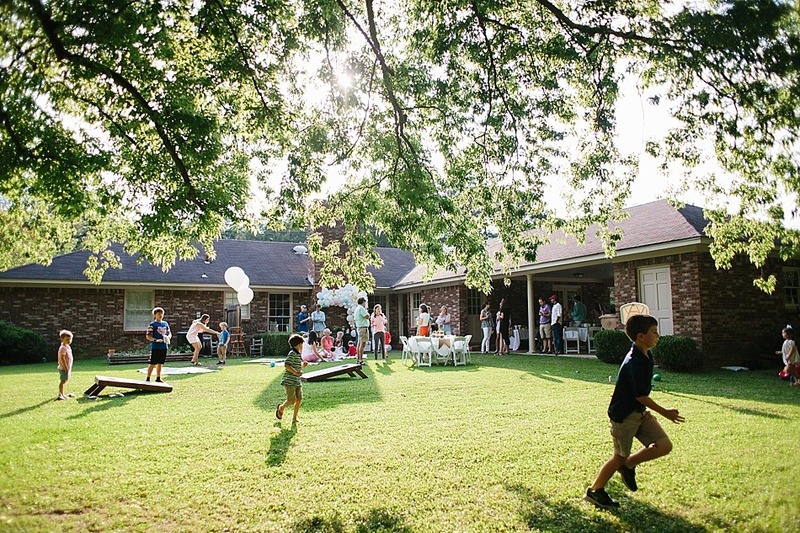 This looks like the best birthday party ever!! George is such a cutie. 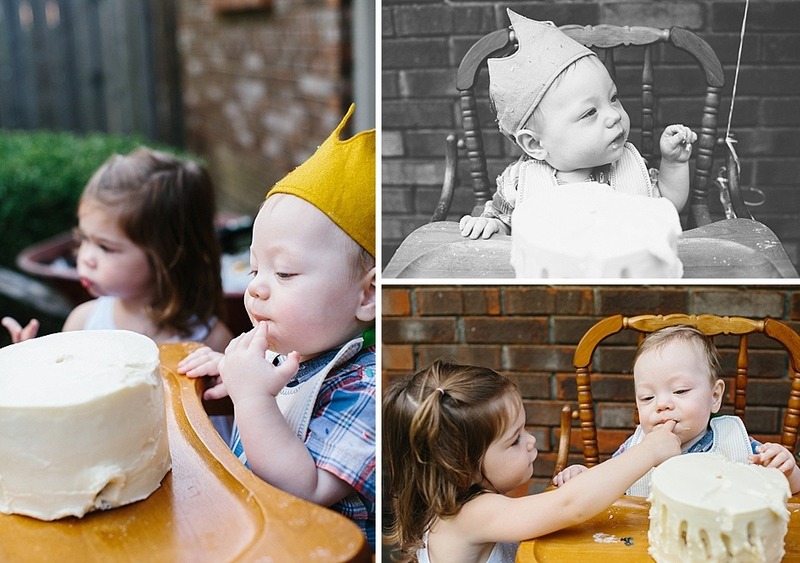 Love the smash cake idea too! 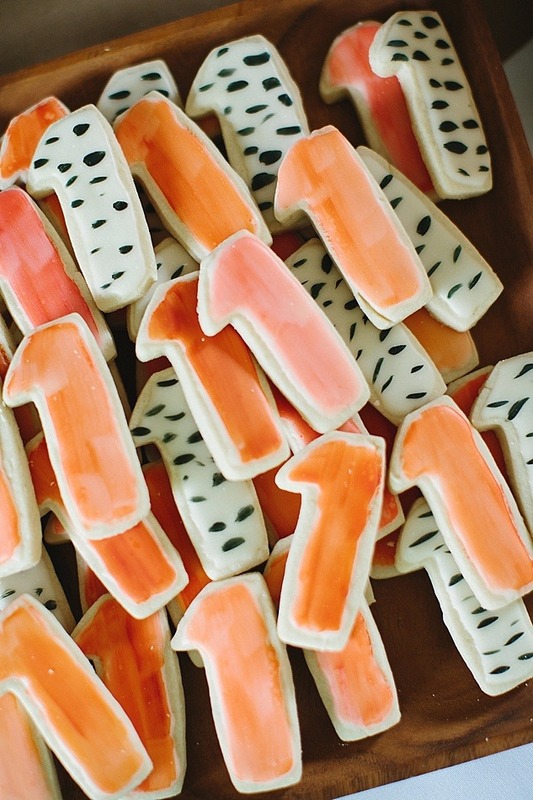 Were those cookies shaped like the number one? Do you have a recipe for those? Very cute idea. Thanks beauty! It was fun… I can’t wait to see what you come up with!